After the successful exit from his maiden venture, which introduced the multi-award winning signature Punjab Grill, Zorawar Kalra launched Massive Restaurants in December 2012. 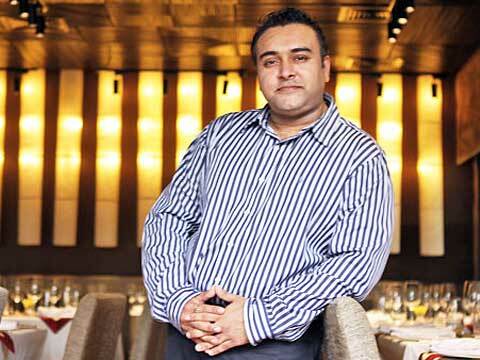 Talking to Restaurant India, he shares his view on the growing restaurant biz. How importance is location in placing your brand? Location is an important part to place your brand. It is just having an ordinary result verses an extraordinary result. A restaurateur could have significantly better result in placing the brand to a right location and putting the amount of effort that he has put for other needs. Location is beyond placing your brand, it is about what your brand is, who your target is. The moment you compromise on location, your work becomes harder. How do you target the customer? I go to a sight and feel it in a sense what people in that particular area would prefer to eat and what will be the footfall. My target is based on the traffic received by the brand in that particular area. Which is the best location to place the brand – a high street or a mall? I think both are doing well in placing the brand. However, the choice between a high street and a mall is highly dependent on the concept. For example, I wouldn’t like to open my Masala Library brand, which is a premium fine dining restaurant; in a mall because it will dilute the prominence of a brand as some of the high clientle probably won’t walk through a mall to come to your restaurant. On other hand, my other brands will suit both high street and mall. Tell us about your brand Farzi Cafe? Farzi Cafe is very unique concept that is taking an edge in the Indian food segment with modern Indian food and molecular gastronomy. It is first-of-its-kind modern Indian bistro concept. Mixologists at Farzi Cafe has a set of unique concoctions such as Mojito Balls, Spaghetti Shots, Jello shots, orange passion sphere, Vodka curry mango chutney foam and many more. We want to create concoctions that are not available elsewhere. Keeping that in mind, we have made our in house spirit infusions. What is your plan for taking your brand to global markets? We are in advance stage of closing a deal in Dubai for Masala Library, where we will be opening it inside a five star hotel. What is your view on the food safety regulations passed by FSSAI? The food safety regulations is stringent and tough to be followed, but it will help in giving India global food parameters, where people will start preferring to eat three times a day because they know that the food being served to them is of highest standards and it has all the essentials required in a diet. Perks of Franchising in Small Cities..
We believe in putting fresh ingredients: Hyatt Reg..